Space tourism is on the horizon. In February 2017, Elon Musk, founder of Space X, vowed to fly two civilians around the moon as early as 2018. Even if his timeline proves a tad optimistic, private passengers will almost certainly be blasting into orbit fairly soon. After all, competing companies such as Virgin Galactic and Blue Origin are in the commercial space race too. 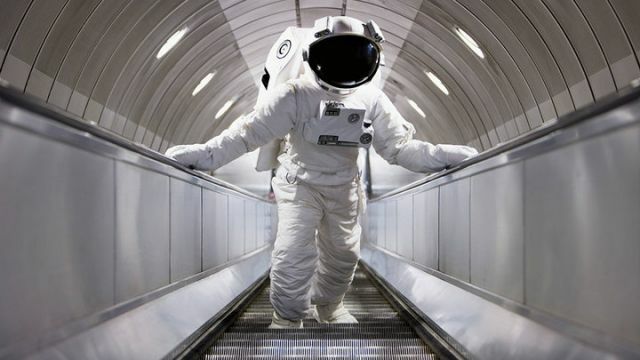 Are you ready to face the risks associated with space travel? As you might expect, there will be hefty price tags associated with these trips. But who wouldn’t want to book a “vacation package” to the moon as Bezos has promised to do by the mid-2020s? It’s all part of his plan, by the way, to build a lunar settlement for humans. Most experts agree that someday soon commercial space travel will be as routine as transcontinental flights. However, a pair of recently released studies has called attention to several health risks associated with being in outer space for long times. Scientists insist that these problems can be overcome. But just so you are aware, here are five potential health hazards you’ll need to consider. Neuroscientists such as Dr. Donna R. Roberts and Dr. Michael U. Antonucci have performed MRI brain scans of astronauts both before and after their space missions. They’ve found that the microgravity they are exposed to in outer space causes a region at the top of the brain (called the central sulcus) to narrow. The longer the space mission, the more this upward shift. This can lead to a phenomenon known as VIIP, which stands for Visual Impairment and Intracranial Pressure syndrome. Apparently, it results in poorer vision, which is due to the increased intracranial pressure. Now that’s a bummer because astronauts aren’t supposed to need glasses. Space travel can really tax the cardiovascular system. Right after takeoff, for instance, the excess G-forces will cause the blood to rush into the chest and head, which can lead to extreme flushing including swollen veins and puffy faces. The effect is only temporary, but I was kind of hoping to look my best when I took a post-takeoff selfie to share with friends and family back on Earth. Video of astronauts doing cartwheels in zero gravity always looked pretty cool. But being weightless has its disadvantages too. For one, you can do lots of cartwheels, but you won’t get much of a cardio workout. That’s because in microgravity the heart doesn’t have to exert itself to pump blood throughout the body. The problem with that, however, is that the heart becomes accustomed this sedentary pace. In other words, being in outer space for a long time turns your heart into a couch potato. Radiation is likely to be an issue whether you are venturing into sub-orbit, walking on the moon or exploring the Red Planet. Scientists say that space travelers are exposed to low-doses of background radiation, which is believed to increase their risk factor for cardiovascular disease. Scientists are optimistic that they can develop countermeasures. But I’m not doing a takeoff countdown until science finds a way to protect my ticker. Space is a harsh environment and travels beyond the earth’s atmosphere can take their toll. Being weightless for long times can erode bone density, lessen muscle mass and impair connective tissues in ways that are not known. Space travel especially affects the neurovestibular system, which is responsible for visual and motor coordination. No wonder that many astronauts, when they return to earth, have had trouble with their balance. And I thought this problem was due to post-flight partying.